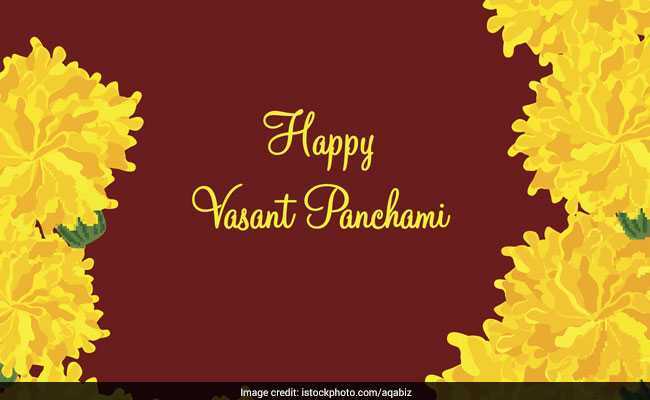 Saraswati Puja that coincides with Basant Panchami (Vasant Panchami) will be observed on February 10. The goddess of wisdom and knowledge, Saraswati, is worshipped on this day. 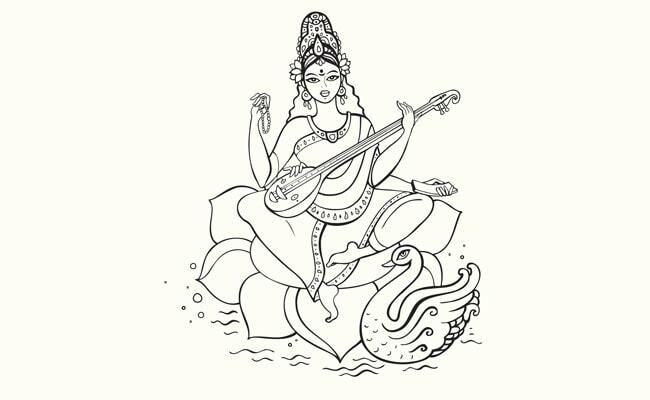 Goddess Saraswati is the energy of Brahma, and symbolizes creative energy and power in all its form. Saraswati Puja, popular in Bengal, Odisha, Uttar Pradesh, Bihar, Rajasthan and Madhya Pradesh, is performed for a single day. Temples dedicated to Goddess Saraswati are decorated and special puja is performed to remember the Goddess. Devotees also dress up in yellow-coloured clothes and prepare yellow-coloured food like sweet saffron rice, kesari sheera, boondi ke ladoo, rajbhog and khichdi. Devotees also design Saraswati Puja alpana in their homes, a rangoli-like sacred painting using a paste of rice and flour. May the energy of Goddess Saraswati shine your being. May Goddess Saraswati bless you with knowledge and wisdom. May the divine grace of Goddess Saraswati be with you. May the power of knowledge light up your life and Godess Saraswati's blessings shine on you. 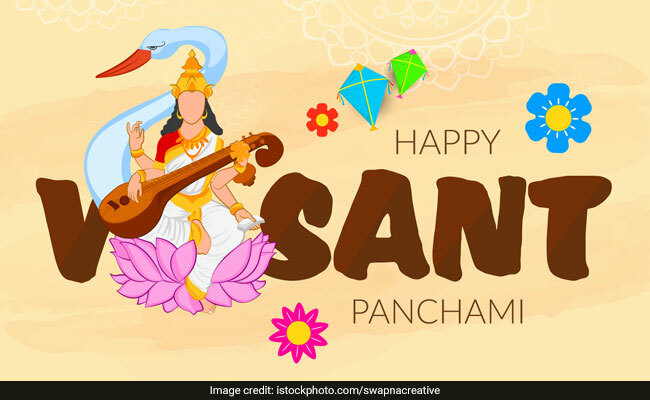 Basant Panchami 2019 image: Happy Basant Panchami! The creative power resides in all of us. May Ma Saraswati keep illuminating this flame and bless you in abundance. Life is to learn. May Goddess Saraswati's divine blessings help you learn and pass the life's tests with ease. 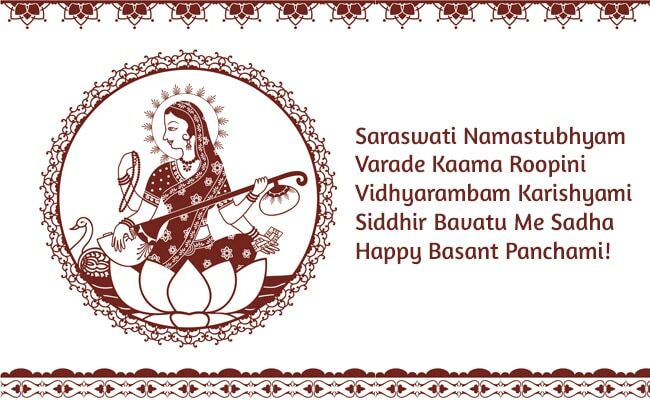 May Goddess Saraswati bless you with a happy life. Heartfelt wishes to you and your family on Saraswati Puja. Light, Love and Peace. May the goddess of knowledge, language, music and arts bless you and your family. 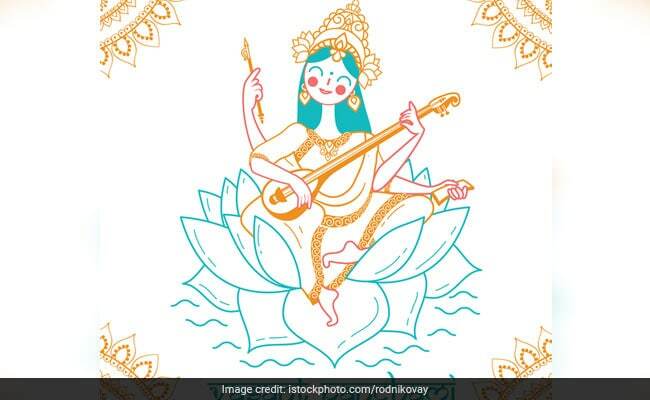 Saraswati Puja: Saraswati is Goddess of knowledge, art, music and science. Stay kind and humble and a true devotee for life. Jai Ma Saraswati! On the auspicious day of Saraswati Puja, my heartiest wishes to you and your family. Saraswati Puja: In devotion to the creative power.